SYDNEY – When God, Mother Earth, Jake from State Farm, Tom Brady or whoever you choose to, or not, believe in made the Earth, I think they saved New Zealand till the end. They just looked at the islands and said “well, we have some leftover rainforest, mountains, glaciers, rivers, cliffs, fjords and a lot of other stuff… Let’s put it all on these two islands!” The result was the most beautiful country that I have ever seen. Marketed as the adventure capital of the world, there is something for everyone in New Zealand! Bungee jumping, skydiving, scuba diving, penguins, beaches, farms. You’d be hard pressed to find anyone who didn’t have something to enjoy in New Zealand. After spending a week and a half there, I can say that New Zealand is, without a doubt, the most underrated country in the world. So where do I begin? I’m not going to chronicle every thing I did, instead, I’m going to try to relate this to the University of Rhode Island. Offer advice. Some wisdom. A crazy story or two, and I’ll admit that I made a huge mistake when I was there that I regret deeply… where to begin? Don’t let this story fool you however, New Zealand was the best damn week of my life. Between white water rafting over class 5 rapids in water that was probably about 40 degrees, hiking up a glacier between mountains that were at high risk of or going up in a helicopter for the first time, New Zealand was just spectacular. 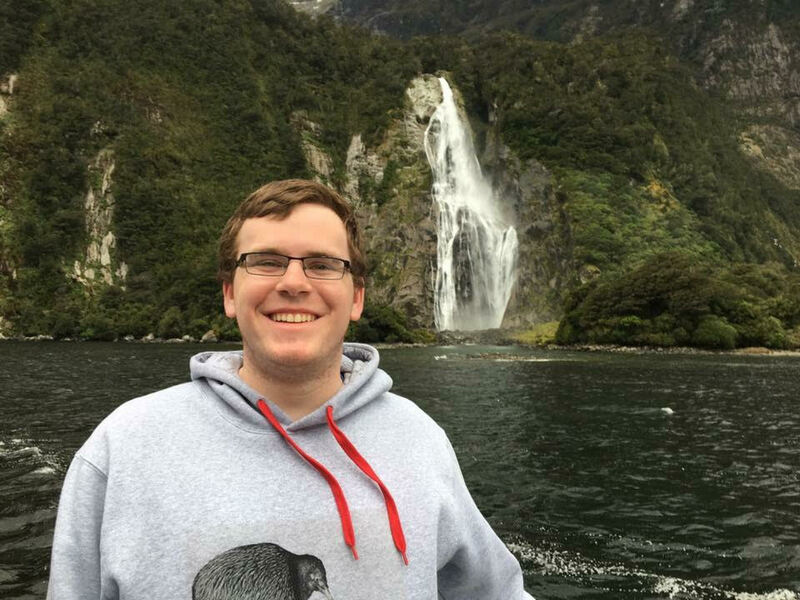 I think that one of the most memorable moments from the tour that I took through the country was visiting Milford Sound. The Sound is a little hard to imagine, but I’ll do my best to describe it. Imagine being in a boat and looking up towards the mountains that tower above you, still snowcapped, terrifyingly high in the air. Then as you progress through the mountain, you see a giant crack down the middle. It’s the meeting point between the Australian Plate and the Pacific Plate. A fault line that created not only these beautiful mountains, but also a 7.1 magnitude earthquake in 2011. For my Californian friends, that might not be a big deal, but for me, a guy born and raised on the East Coast who’s never been west of Mississippi, it was like looking at a time bomb. Moving on from that, as I finally looked away from the fault line and down the mountain, the trees begin to return, and so does life, as it’s spring down below. But the lower you go, the rainier it gets. The treeline fades into a rainforest, an area that will see roughly 180 rainy days per year. And yet, on the banks of this rainforest, there are two wild penguins nestled together on the shore, grooming themselves for their hunt. And beyond them the open ocean, full of seals and the Great White Sharks that hunt them at night, right off the rock that we were staring at the seals from. All sarcasm aside, the ability to see so much of earth, so much of nature in a single image, with both my eyes at the same time, it was indescribable. I was in New Zealand for 10 days, and in this article I only covered two of those days. I think that these two stories go well together because it not only details what I wish I had done, but it also shows that I really loved New Zealand, in spite of my error.